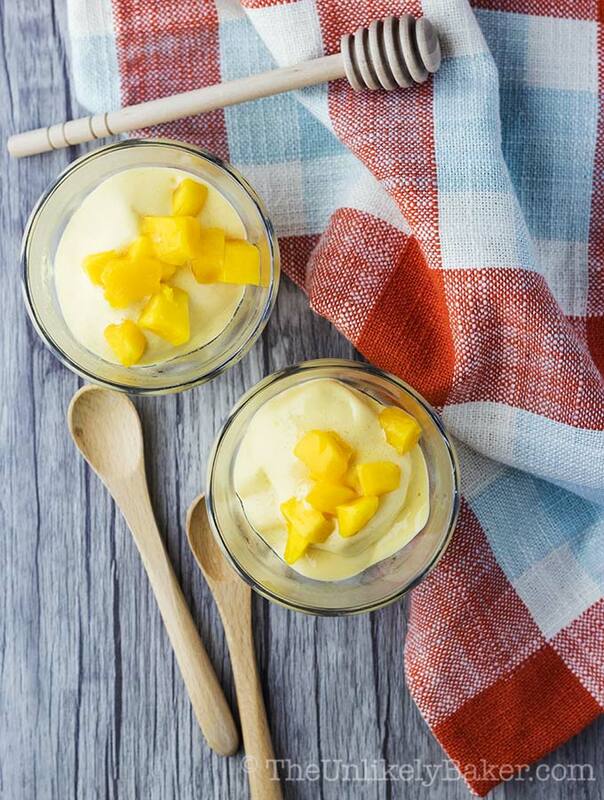 This 2-ingredient fresh mango mousse is refreshing, delicious and takes no time at all. Made with fresh mangoes and milk, it is bursting with tropical mango flavour. 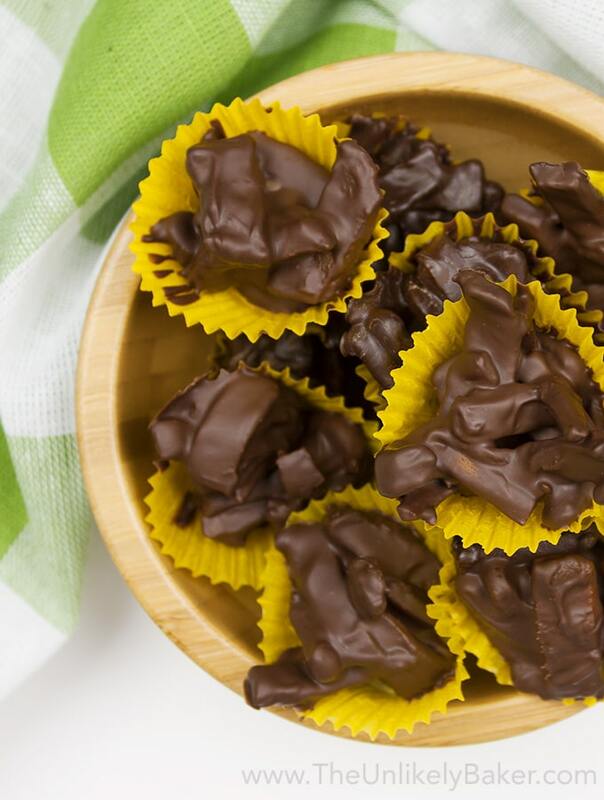 We love simple recipes here at TUB, like that 2-ingredient frozen yogurt granola cups from the other week and my favourite 2-ingredient dried mango chocolate bites. 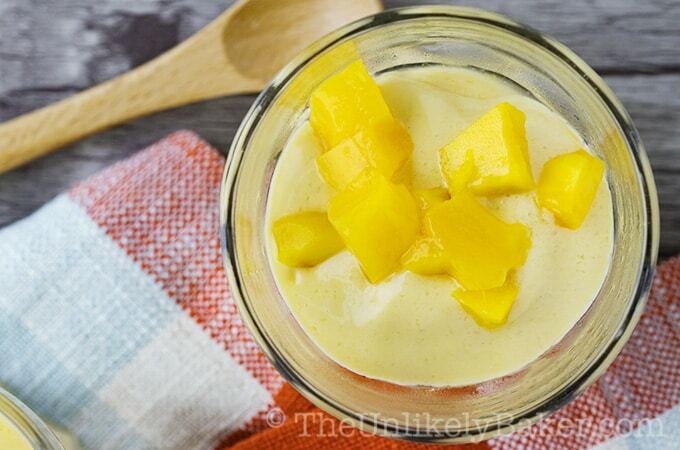 Here’s another one for you: 2-ingredient fresh mango mousse. 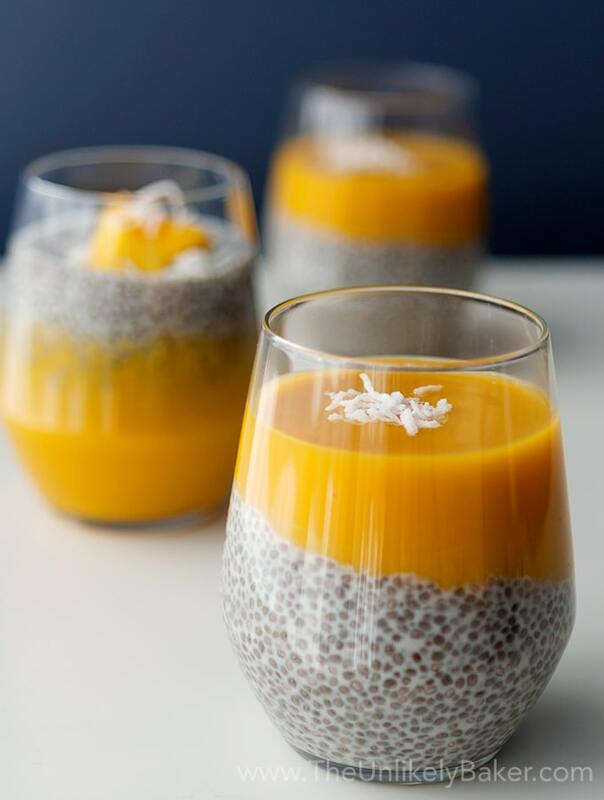 Just take some mangoes and milk, blend and voilà – the easiest, tastiest summer dessert ever. When you think mousse you think light and fluffy which is generally achieved by whipping cream or egg whites into the mixture. This recipe uses neither. It’s really just fresh mangoes and milk blended together until thick and mousse-y (is that a word?). but you can use any kind of milk, though full fat works best). Notice that there’s no ice – this is what makes the mousse so thick and creamy. There’s no additional liquid to water it down. What’s the best kind of mangoes to use? In an ideal world, I would use Philippine mangoes because in my humble (though admittedly biased lol) opinion, they are the best in the world. However they are not available here so we use Ataulfo mangoes instead. They are less fibrous than the other mango varieties that we get here plus they have that rich, creamy texture similar to Philippine mangoes, making them perfect for smoothies and yes, mousse! How do you know if a mango is ripe? Growing up surrounded by mangoes, I learned that the way best way to tell if a mango is sweet and ripe is by smelling it. It doesn’t matter if it’s a perfectly bright yellow colour; if you pick it up and a quick sniff doesn’t give you that lovely mango smell, it’s not ready. When shopping for mangoes I also tend to stay away from the wrinkly and dry-looking ones. This is the one time it’s ok to judge something by appearance! Can I use frozen mangoes? Since I freeze the fresh mangoes anyway, you may be wondering if you can use frozen mangoes instead of fresh. Absolutely. 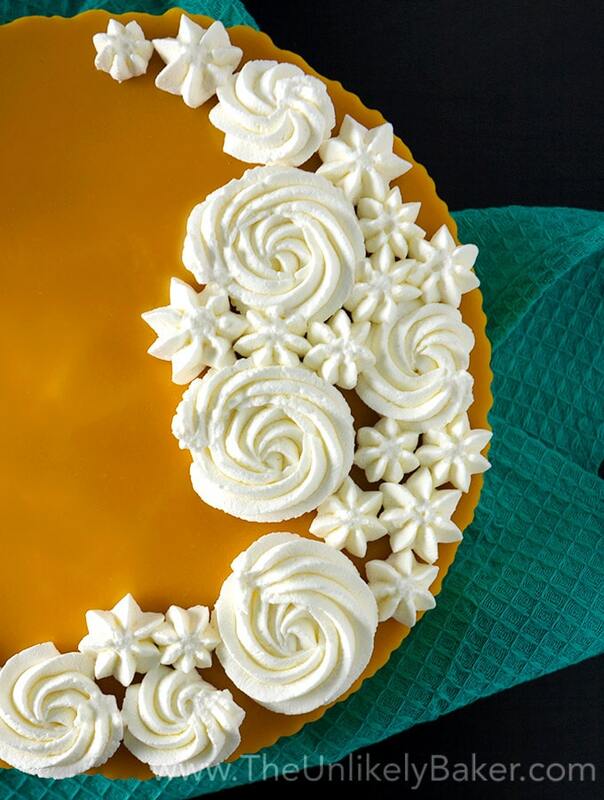 That way, you can enjoy this dessert any time of the year. However, since it’s summer and fresh mangoes are in abundance, give them a shot! 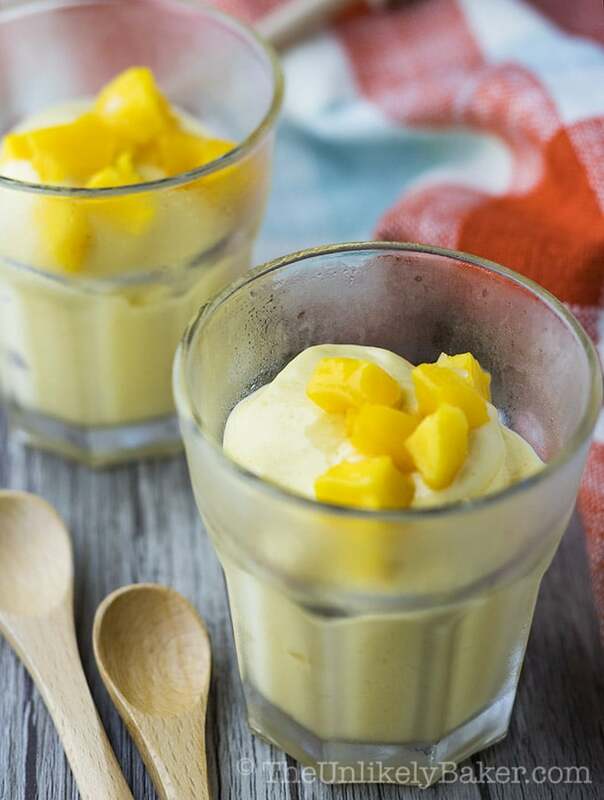 So next time you’re out grocery shopping, grab a couple of mangoes and make yourself fresh mango mousse. It’s delightful. Freeze the mangoes and chill the milk for at least 30 minutes. When frozen and ready, blend until thick and creamy. Serve immediately. If you can't find fresh mangoes, you can use frozen mangoes. You can also use any milk of choice. 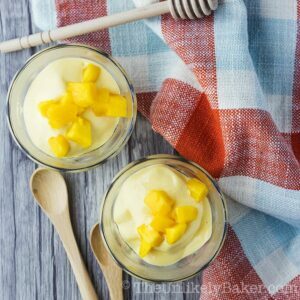 I've never had to sweeten my mousse because my mangoes are already sweet; you can add honey to the mixture to add sweetness if necessary. Did you make fresh mango mousse? What’s your favourite mango dessert? I’d love to hear from you in the comments section below. This is a fantastic idea, especially for buy moms and dads. When you need a dessert you freeze the milk and mango and they whip it up. Can’t be easier than that. I imagine it would work well with other fruit as well. I’ll have to pin this for sure. I love simple, quick and easy like this – just two ingredients. We are huge fans of mango as a family. My kids would love this so much. Can’t wait to try this. I love this idea! It looks so fresh & delicious, my kids will LOVE this!! I love mango anything and have never thought to make it in a mousse. This looks like it would be fabulous! I will eat mangoes in any way, shape, or form. This sounds so good and I love how simple it is! YUM! I would love to veganize this!!! I love tips like that about ripe fruit. I thought you just judge them by the color but now I know better! This look very good and I have a feel my son will love it! I love that this is literally two ingredients. I would definitely make this, my husband loves mango. I also didn’t know that you could tell it was ripe by the smell, so I am glad to know that! This sounds like such a tropical dessert. Fresh mango is so delicious. Now that I finally know how to cut it. I love it with yogurt too. I feel like I am on vacation when I eat it…oh and the aroma is so good too. This is a nice light way to end a meal. What just 2 Ingredients?!! Count me in. Mangoes are for summer as summer is for mangoes. I am definitely going to try that mango mousse. As a mango lover, I don’t know how I never knew about that delicious recipe. Yum! I’m absolutely trying this with my kids. Mangoes are the most delicious fruit, in my opinion! Not only does this look delicious, but it looks like something I might actually be able to recreate! Sometimes the simplest recipes can be the most memorable. This definitely looks worth trying. This looks delicious! I just got mangos in my co-op basket this weekend and was trying to decide what to do with them. I think I just found it!! That looks amazing! I love how easy it is to make, and am definitely trying it. 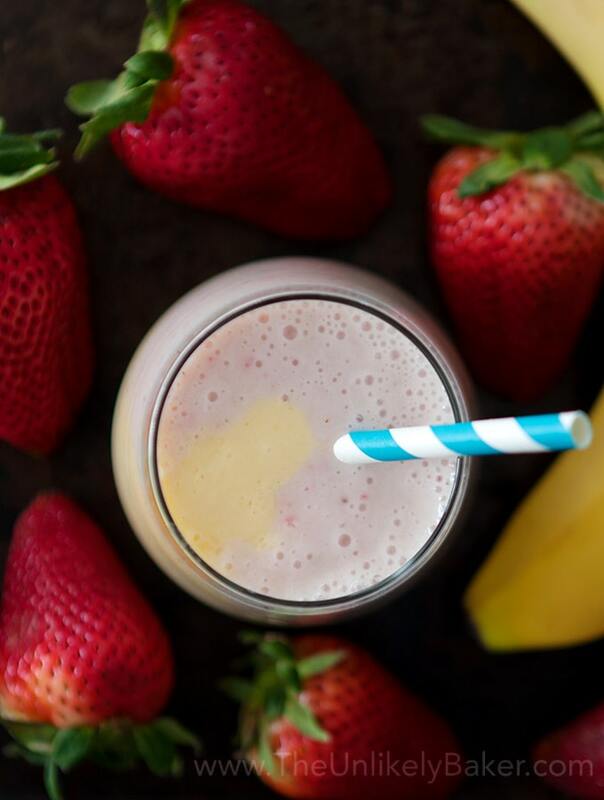 So refreshing for a hot summer day!